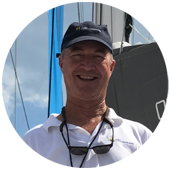 Asking a catamaran broker to give an honest assessment of the virtues of a catamaran versus a monohull may seem like a fool’s folly. Many of us crusty old brokers have developed a series of one-liners to fire back at snobby mono sailors from places like Marbleport, and Newhead. Stuff like: the monohull guy says “so, bet you’ll love living on that thing upside down when it flips in the middle of the ocean” ……….. to which the cat guy says “yeah, I’ll wave to you in your life raft because your boat flipped and went straight to the bottom”…and on it goes! Anyway, let’s look at a few points. Obviously, comparing a 48’ catamaran to a 48’ monohull on space is crazy. 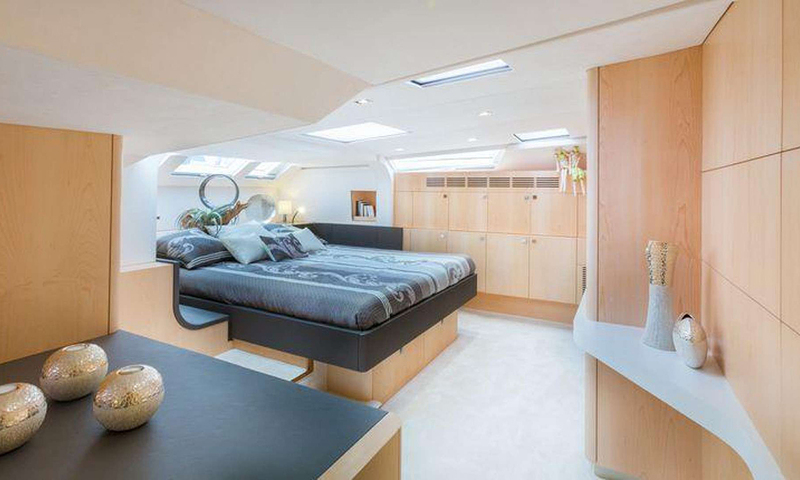 So, let’s consider this: A 40’ catamaran, on average, has the same interior living space as a 54’ monohull. Additionally, the 40’ cat still has a bigger cockpit. Living space is really nice to have! A big cockpit is great for lifestyle aboard. Having a salon that is above the decks is also really nice. There are some great cabins on big monohulls, especially when it gets to big aft cabins. There are equally great cabins on cats, with the added benefit of having a salon and 25 feet between them. Owner’s suites, which are all the fashion these days, are really elegant. Some boats, like big Lagoons and Privileges, have taken cabins to near 4 seasons hotel levels!! Amazing living space!! Monohull purists love heeling. Catamaran owners have upright champagne glasses. Chin Chin!! There is a lot of misplaced boasting in both camps here. In fairness, a well designed 48’ monohull will likely outsail an average 48’ cruising catamaran, particularly hard on the wind, and deep off the wind. The catamaran likely will be slightly better on reaches. So, depending on where you are going, and what you are doing, it is pretty even. Where it becomes not even close to even is when you add daggerboards and keep your catamaran light. 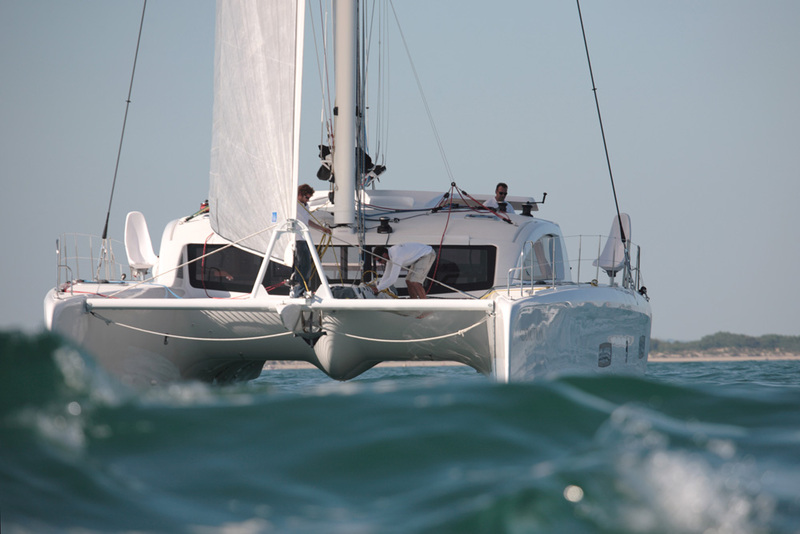 If sailing is your thing, then the dagger catamaran is the best you can do. The other day, we were sailing in Wickford Harbor in RI. On the dock, there is a really large Hinckley. I have never seen a prettier sailboat, mind-blowing stuff. Cruising catamarans will never look like that. Have you seen the drawings of the new Gunboat 68’ though? Whoa! I’d imagine even the Eastern YC members will take notice. This is an interesting discussion. If you have 100K, and you want to sail off into the sunset, a cat is virtually out of the question. (Not entirely mind you, I just sold a good small, older FP for that, but it is rare at best) You can get a pretty nice big, equipped monohull for 100K. At 200K, there are good options in smaller or older cats, but again, you might find a gem of a monohull. 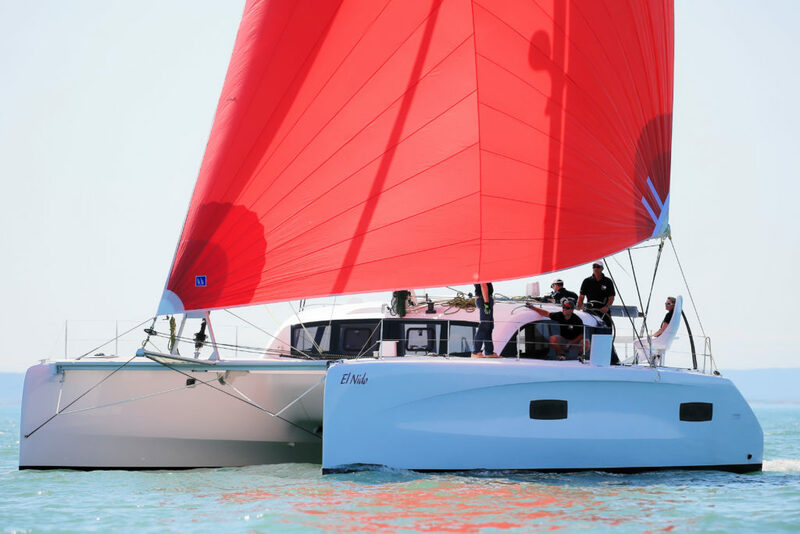 However, at this price point, the catamaran comes into its strong points, space, comfort, stability, and once you get a taste of that, the monohulls start shrinking, if you know what I mean. As we get up into 300, 400, 500K, it is all preference. There start to be dagger catamarans in that range, and newer boats, etc. Catamarans will always be more expensive than monohulls if comparing LOA (length overall), but more expensive monohulls tend to be driven as much by reputation as merit. Of course, Swans barely depreciate. That said, Gunboats and Outremer catamarans barely depreciate either. 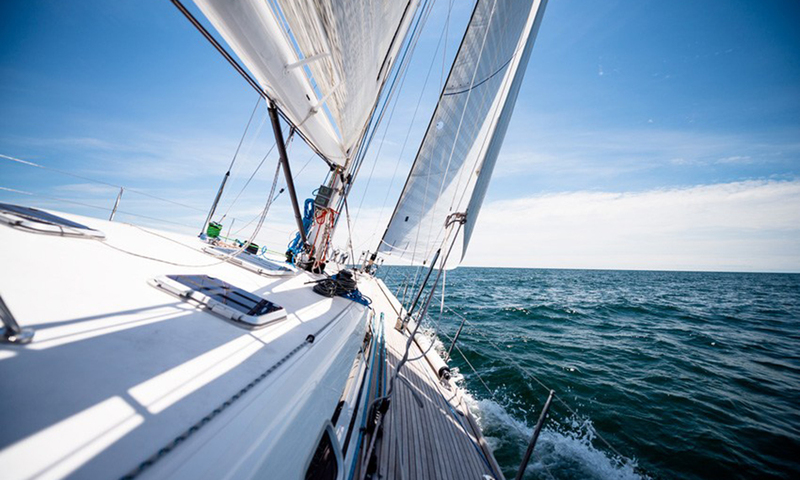 If you want to live on a boat on a dock, a monohull is an easier boat to find a place for. 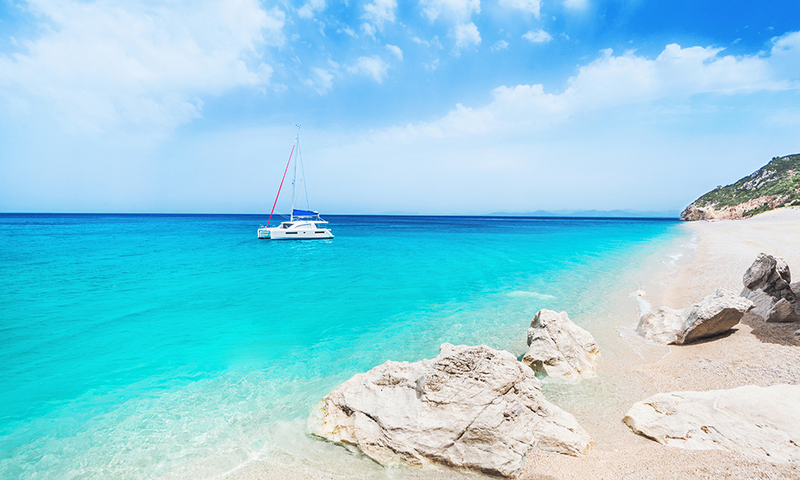 If you want a private island that has all the comforts, and you want to move around, there is nothing better than a catamaran on a mooring or on an anchor. That’s where the joy is for me! We mostly all started sailing monohulls. Despite being a catamaran broker, if there were no catamarans, I’d want a big monohull without question. There is a big reason though why the catamaran business has been in a strong growth pattern for many many years, why 80 plus % of charter yachts are cats, and why monohull sales are flat at best. A catamaran offers a better lifestyle. The catamaran is stable. The primary living space is above decks and is exponentially bigger. Contiguous cockpits and salons have upped the living space even more. Sure, there are some purists out there who pick monohulls, and that’s fine. The commodore of the NYYC has a Gunboat though! I think the earth just shook! Contact Derek Escher to help you make the right decision when it comes to boating.